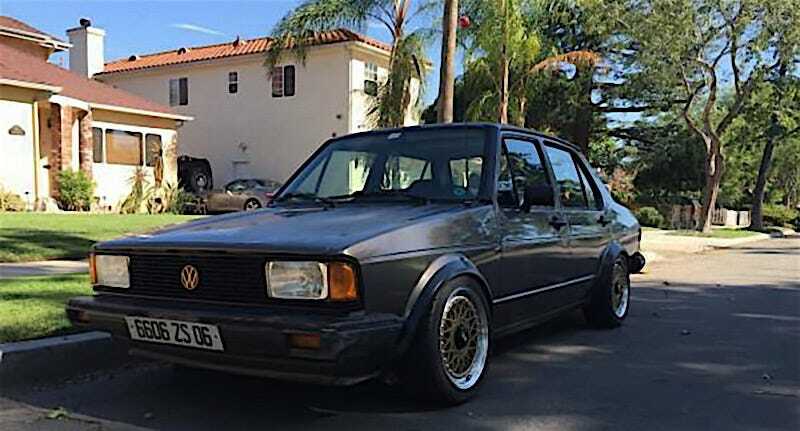 For $5,500, Does This 1984 VW Jetta Diesel Rattle Your Cans? Today’s Nice Price or Crack Pipe MkI Jetta rocks a lot of cool parts, including some Recaro thrones, a diesel mill, and sweet BBS wheels. What you’ll have to decide is if that all adds up to making this smoker a smoking hot deal. Some of you Jalops see a glass as half-empty while others of you see it as half full. Yesterday, we saw a 1972 Lancia Fulvia that wasn’t half bad, and 56% of you saw it as fully a deal, and awarded it a Nice Price win. I’ll bet you all feel pretty full of yourselves knowing that. Okay, I’ll stop with the full/Fulvia jokes now. Volkswagen CEO Matthias Mueller gave an interview to National Public Radio on Sunday evening at the Detroit Auto Show, in which he made claim that Volkswagen didn’t knowingly lie to U.S. regulators about the company’s dirty diesels. Instead he said, VW simply “misunderstood” the U.S. law. Which do you think is worse coming from the head of one of the world’s largest automakers: that he may still be lying right to our NPR-listening faces, or that he’s implying that Volkswagen was too dumb to correctly interpret the emissions standards of one of their largest and most important markets? Oh well, screw that guy, he’s doomed. Fans of Volkswagen’s existing oil burners however, aren’t because there’s still a ton of the older, more regulatory compliant models out there to jones over. If you happen to be one of those rattle can rejoicers then have a gander (or a goose, hell, I’m easy) at this 1984 Jetta, fitted with VW’s 1.6-litre non-turbo oil burner. Now you might not agree but I think that the A1 Jetta is the second-best looking Jetta there is, right after the A4 ride. This one sports four-doors and a Euro nose above U.S. bumpers that have been pushed back against the body. I know, sweet, right? The diesel under hood is said to come with a MK2 head, rebuilt injectors, new lines and a re-man’d starter to boot. Backing that up is a five-speed manual. That’s all great, but before you ask, no I don’t know what’s going on with the duct tape and hole on the air box in the picture above. The seller claims 40MPG, however the tradeoff to efficiency is quickness so should you presently need to out run a tsunami or Nickelback tourbus then this might not be the most appropriate choice for you. If however, you have some time on your hands then this does have some other appealing elements. The body looks straight and seemingly booger-free aside from the paint wear on the horizontal surfaces. Those gold BBS RM’s look pretty tasty and behind those sit Riceland coilovers if that’s your thing. The car rides a little low, but thankfully isn’t slammed and the wheels appear to have normal camber. Inside, the MKII Recaros look like what Goldilocks would describe as just right. and match the back seats in pattern. The dash looks a little messed up, and the steering wheel is kind of grodie, but the door cards and other kibbles and bits look okay. There’s some sort of Kenwood in the dash, but seriously, just as long as it gets NPR who cares what the hell it is? The asking price for this oil burning Jetta is $5,500, which is a lot for an old Jetta, but then this one has a lot going for it. And as a bonus, you could always drive it by Volkswagen dealers and glare at them just to heighten their shame. The seller says this car makes an excellent daily driver, which along with the 40 MPG might make it a prime candidate for anyone pining for a VW diesel, because you know they’re not likely to be selling any new ones here any time soon. In fact, the sudden dearth of diesels coming from Volkswagen has seemingly driven up the prices of the existing older ones. If you wanted to get on that black oil band wagon before it’s too late, would $5,500 for this ’84 Jetta be a good way to start?